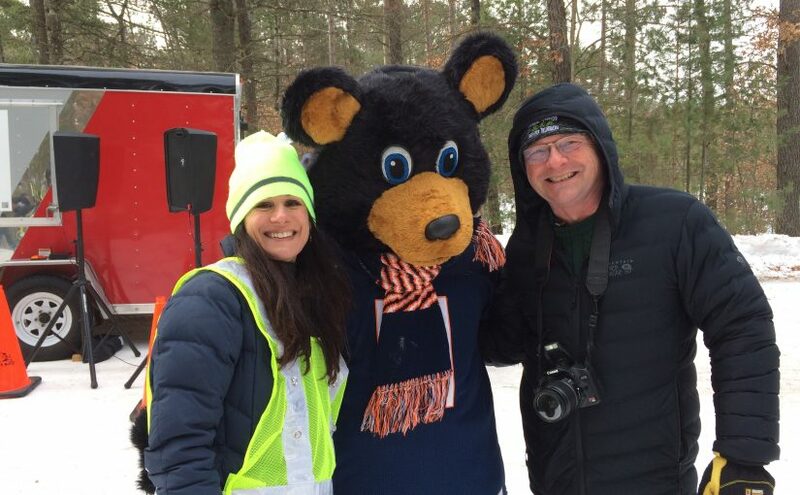 Boulder Junction is proud to be a destination for winter silent sports enthusiasts and we’re excited to bring to you 3rd Annual Forest Frenzy Winter Triathlon, the premier outdoor winter triathlon of its kind in Wisconsin, on Saturday, February 15, 2020. Forest Frenzy is stationed at Camp Manito-wish YMCA with race headquarters at the Manito-wish Leadership Center, a beautiful Northwoods lodge with fireplace overlooking Boulder Lake. This is a timed event. Registration opens November 1, 2019 and ends February 13, 2020. Proceeds from this event will help to support the Boulder Junction Chamber of Commerce in coordination of future events and promotional activities. You can help support this event by being a contributing sponsor to Forest Frenzy. We are anticipating a turnout of about 100 participants. Sponsors that sign up early will have the benefit of having their name and/or logo on posters, our website, in print materials and in press releases as they happen throughout the promotional period leading up to the event. Download the Forest Frenzy – Sponsor Form to determine the level you would like to support for this event. Thank you in advance for your contribution and support!